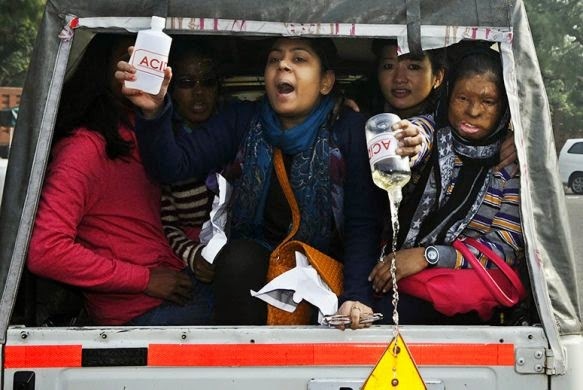 It is reported that Indian Court directed all hospitals to treat acid attack victims for free as part of their recovery. All over the world, women are thought to be the soft targets, if you want to take revenge from any man or his family, either you harm that man or victimize women of that person’s sphere. Another point which we cannot ignore here, that many coward and cruel men throw acid on women to punish them for being brave and rejecting their demands. It’s a cruel crime that is shockingly common in many African and Asian countries. Throwing acid in a person’s face, leaving them disfigured and often blind. As many as 1,500 people are attacked with acid every year and most of them are women and girls. Many lose their lives and some are left with an bitter memory. Often those who have rejected a marriage proposal, sexual advance or somehow accused of bringing shame to their families. After the attack they are left struggling with medical bills and a life tottered by that disability which has made their life a burden for them. India also faced this issue like Pakistan does but after legislation, even if the culprit is sentenced for his deed, this can do no good for the survivors. Indian judiciary has found a solution for this. Now, India’s Supreme Court is taking landmark steps to make things easier for recovering survivors. Last week, the court ordered all hospitals to treat acid attack victims for free, including food, medicine, and reconstructive surgeries, the Times of India reported. It also decreed that state governments must pay victims a minimum compensation of 300,000 rupees, or approximately $4,800. “We find that amount will not be burdensome” to state governments, the justices wrote in their decision. But it could mean a lot to individual victims in a country where the median per capita income is barely over $600 per year. Acid attacks are carried out in many countries and by people of diverse religions, according to the British-based Acid Survivors Trust International. But they are most common in Cambodia, Bangladesh, Pakistan, Afghanistan, and India. The Indian government alone officially documented 309 acid attacks last year, although activists say the number could be far higher. The figures will be same or near to India in Pakistan as well in this matter but we have not seen any steps taken by government on rehabilitation of acid attack survivors. Only a few NGOs are working to bring those miserable women back to their life and give them a way for new start. Later on we can see what results are brought from Indian Supreme Court’s decision, but we are sure this order will give many women a new life with a new face.